Mimi, an undergraduate student in New York has had a hellish year. Running away from her life for a bit she drives through Canada to an old house along the syne that her estranged father owns. It was supposed to be a perfect hiding place. It was supposed to be a space for her to write and work out her troubles. It became a treasure trove of secrets and fear. At nineteen, Mimi floats along on a river journey that she didn’t sign up for but she isn’t able to fight the current. 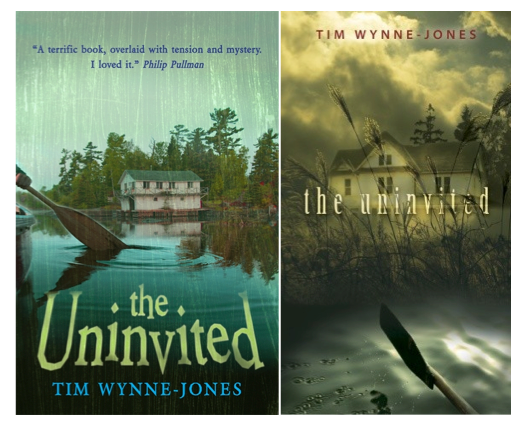 The Uninvited is full of suspense from the first page to the last chapter. As this is a mystery type book I can’t get too deep with the story, it’s best that others give it a shot. I found it a surprising mature read from Walker Books, usually known for publishing to a younger audience. It’s a delightful surprise and once I’d cracked the book (it did take a while to get into) I couldn’t put it down. I haven’t explored too much of Canada myself but the scenery is beautifully described and it made me long for days when travelling by canoe was an acceptable form of transport. I’d recommend this book for older teens looking for drama that’s got a sickening strain that begs for discussion. This isn’t your classic YA book and be prepared for uncomfortable confusing moments.